What is the price for the REI Outessa Summit? 3-Day All Access Passes: A discounted price of $749 is being offered until July 14 for Kirkwood and July 28 for Powder Mountain. At those times the price will increase to $799. This September 15, join the guides from REI’s Outdoor School and chefs Christopher Morgan and Gerald Addison (Compass Rose & Maydan), Nathan Anda from Neighborhood Restaurant Group (Red Apron/The Partisan), Nick Wiseman and Ronen Tenne (Little Sesame), Christian Gamboa (Amparo), Chef Rob Rubba, Jon Sybert (Tail Up Goat), and drinks maven Carlie Steiner (Himitsu) as they pull off the culinary event of the year. Food cooked over an open fire served family style outdoors? Check. Beautiful riverside setting complete with antique barn and towering oak trees? Check. Craft cocktails, DC beer and Virginia wine? Check. And if the meal isn't enough, REI's Outdoor School will help you really experience the place with optional outdoor outings like bike tours, kayak tours, and yoga in the early afternoon, as well as intimate culinary workshops with some of the chefs. We'll have dinner tickets for 300 people, and we'll have room for 100 folks to camp out - so pack your tent and sleeping bag and join the late night bonfire! 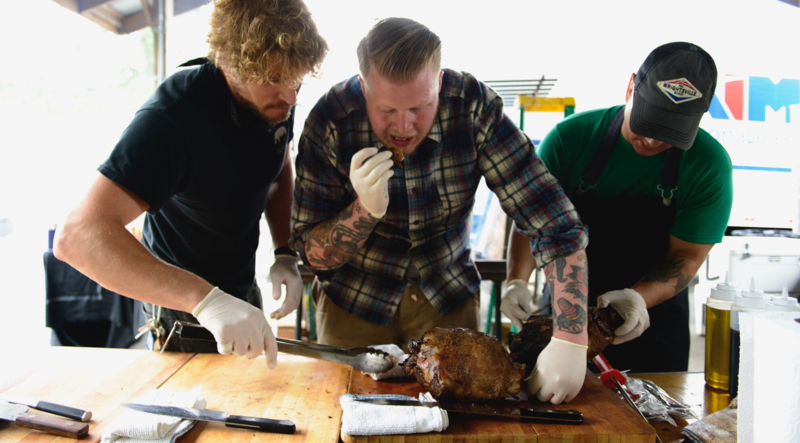 The centerpiece of this event is a meal cooked over a live fire by this all-star chef team. Late summer timing means that harvest will be at peak – the best time of year to enjoy the bounty of Mid-Atlantic farms. Our meal will be served family-style in a rustic outdoor pavilion and include plenty of options for every diet. And the meal is all inclusive – so cocktails, craft beer, and local wine as well as great non-alcoholic options are included along with the meal. We’ll kick the meal off with a toast to the chefs and one another, and then dig in! Cocktails start at 5pm, with dinner at 6. After dinner wraps up, the fun hasn’t ended for the folks who add a camping option to their meal. We’ll keep the bonfires rolling, have some evening entertainment, and who knows – the chef’s might even sneak you some late night snacks. You’ll get a camping spot nestled along the edge of the forest a stone’s throw away from where you ate dinner. We’ll have bathrooms and fire rings stocked with wood - you provide your own camping gear. And if you don’t have gear, but want to give camping a shot? Good on ya! Click here to buy a beginner camping bundle from REI, and we’ll even help you set it up. And maybe the BEST part of a culinary campout? Your chefs from the night before fix you breakfast (included in the price of a campout add-on). The centerpiece of this event is a meal cooked over a live fire by this all-star chef team. Late summer timing means that harvest will be at peak – the best time of year to enjoy the bounty of Mid-Atlantic farms. Our meal will be served family-style in a rustic outdoor pavilion and include plenty of options for every diet. And the meal is all inclusive – so cocktails, craft beer, and local wine as well as great non-alcoholic options are included along with the meal. We’ll kick the meal off with cocktails and snacks, a toast to the chefs and one another, and then dig in! Cocktails start at 5pm, with dinner at 6. After dinner wraps up at 8pm, the fun hasn’t ended for the folks who add a camping option to their meal. We’ll keep the bonfires rolling, have some evening entertainment, and who knows – the chef’s might even sneak you some late night snacks. You’ll get a camping spot nestled along the edge of the forest a stone’s throw away from where you ate dinner. We’ll have bathrooms and fire rings stocked with wood - you provide your own camping gear. And if you don’t have gear, but want to give camping a shot? Good on ya! Click here to buy a beginner camping bundle from REI, and we’ll even help you set it up. And maybe the BEST part of a culinary campout? Your chefs from the night before fix you breakfast (included in the price of a campout add-on). Make the most of your time at the Culinary Campout by adding even more outdoor and foodie fun to your Saturday afternoon. Feeling like an adventure to work up an appetite? The local guides from REI’s Outdoor School are leading small group outings – on foot, on bikes, and on the water - that get you deeper into the beauty of Patuxent River Park. If your tastes steer more towards the gastronomic, some of the chefs will be peeling away from cooking dinner to lead some intimate culinary workshops and tastings – just don’t spoil your appetite. All experience add-ons include lunch from Little Sesame. Join REI’s expert mountain bike instructors for a casual paced mountain bike tour of the forest and wetlands trails throughout Patuxent River Park. These rolling trails are very beginner friendly, though we’d encourage you to choose this option if you’ve had even a little previous experience riding a mountain bike. REI will provide bike, helmet, and guide. 3 hours total. Lunch provided before tour by Little Sesame. This experience requires the purchase of an add-on experience ticket. Just off shore from our Culinary Campout, the Patuxent River opens up into a wide tidal section called Jug Bay – and it is just plain gorgeous. It’s best experienced by kayak. Select this experience add on to join REI’s expert kayak instructors for a tour of this Maryland gem. You’ll paddle on freshwater tides flowing through lily pads and marsh grasses, and we can pretty much guarantee you’ll see some spectacular wildlife. No previous paddling experience necessary. REI will provide kayak, PFD, and guide. Lunch provided before tour by Little Sesame. 3 hours total. If you’ve never done a yoga class amidst the breezy trees, this one might be for you: join one of our favorite Yoga instructors for an all-levels flow class in the great outdoors. Lunch provided before class by Little Sesame. REI will provide mat and instructor. 90 minutes total. If you’ve ever wondered what it’s like to help prepare a meal with a professional chef, this one is for you. An intimate group of folks will get to step into the outdoor kitchen and cook alongside our all-star chef team. You’ll get hands-on insight into their techniques and recipes for the meal and walk away with a food memory you won’t soon forget. Lunch provided beforehand by Little Sesame. Co-owner and drinks director at DC’s darling Himitsu, Carlie Steiner knows her way around a good drink in the outdoors. Join Carlie as she talks about her personal approach to a great drink and walks you through several unique cocktail recipes perfect for your next camping trip. And yes – you’ll get to enjoy the beverages too. Lunch provided before class by Little Sesame. Nathan Anda is the chef behind the renowned Red Apron Butcher and a host of regional favorite restaurants, and he’s got a well-earned reputation as a wizard with the meats. So if you’ve ever wanted to learn more about the art of butchery, this is your chance to learn it from a master. In this interactive demo, Chef Anda will walk you through the process he would use for breaking down a whole hog, demonstrating the cuts that he and the chefs are using to prepare the evening’s dinner and the cuts that go to make different types of cured meats and charcuterie. The animal is sourced from Leaping Waters Farm in Virginia. Lunch provided before demo by Little Sesame. Want to come to dinner but prefer to leave the driving to somebody else? We’ll have a bus departing the REI DC Flagship (201 M Street NE) at 3:30pm. You’ll arrive at the Culinary Campout location before happy hour. The bus will leave dinner at 9pm, allowing you time to enjoy some bonfire and music post-dinner. Bus will arrive at the DC Flagship around 10p. There is paid on-site parking available in the parking garage on Congress Street NE. $50 Roundtrip. A big shout out to all the partners from the DC food and drink scene who are working to make this experience so special (and delicious). For both the chef teams and REI, giving back to the community is built into our DNA. We’re proud to say that a portion of the proceeds for this event will benefit La Cocina, City Kids Wilderness Project, and Patuxent Riverkeeper, three hometown organizations that are making the kitchen and the outdoors a more inclusive and welcoming place for all. Learn more about these great non-profit organizations below. or both the chef teams and REI, giving back to the community is built into our DNA. We’re proud to say that a portion of the proceeds for this event will benefit La Cocina and City Kids Wilderness Project, two hometown organizations that are making the kitchen and the outdoors a more inclusive and welcoming place for all. What’s included with my event ticket? The main event ticket is for the dinner. It is all inclusive, including cocktail hour and drinks with dinner service. We want to give you maximum flexibility to curate the Culinary Campout experience that fits your interests, schedule, and budget. Accordingly, the afternoon add-on experiences and overnight camping are a la carte pricing and not included in the main ticket. To participate in the add-ons, you do need to purchase a dinner ticket. Cancellation for the REI Culinary Campout event requires written notice to dc-os@rei.com. The following policy timeline will be used to determine the amount refunded for all tickets, including experience add-ons and camping tickets. The number of days will be determined from the difference between the day we receive your cancellation email and September 15 (day the event begins). Please note that any processing and/or service fees will not be refunded and that tickets can't be sold or transferred to someone else. Do you provide camping gear? We provide campers with a beautiful campsite, an amazing dinner and breakfast, and evening post-dinner entertainment. The campsite has climate controlled bathrooms (no showers) and fire rings.  REI does not provide the camping gear – that is up to you. If you want to purchase an affordable quality camping bundle, click here. Do you have a list of what campers should bring? In addition to a tent, sleeping bag, and sleeping pad, we would suggest you bring a headlamp or flashlight, a reusable water bottle, basic toiletries, layered clothing, and rain/sun protection. A helpful checklist for car camping is here. If you’ve never camped before and this is your first camping trip, you rock! And you’ve picked a good one. We’ll have staff onsite who can help with tent setup, advice, whatever you need. And we’re taking care of all the food, so that simplifies things too. See the above two questions for links to camping bundles and checklists. We’ll be cooking a large meal with lots of options for vegetarian, vegan, and gluten free diners. There is a section in the registration process where you can identify your specific restriction. If we have questions or concerns after reading that, we’ll contact you. Sorry, Culinary Campout is for the grownups only (21+). We’ve got lots of other events for families – check rei.com/events to find one that would be a good fit. I have a question that wasn’t answered here. Who can I ask? Send us an email at DC-OS@rei.com and we’ll get back to you! The Patuxent River Park is about a 45 minute drive east of Washington D.C. Please note you are only able to register one participant at a time. ​If you want to purchase tickets for friends and family,​​ please ensure their personal information is correct so they receive their confirmation e-mail and future communication.